Golly I have been away way too long. This post is an old craft but I've been using it religiously for months now and the fact that we only fight about dinner once a week has brought much peace to my home. My family is 100% on board and we all look forward to knowing what's on the menu. I used a 13x17 frame and many Cricut cuts to make the board, reassembled the frame and use a dry erase marker on the glass. 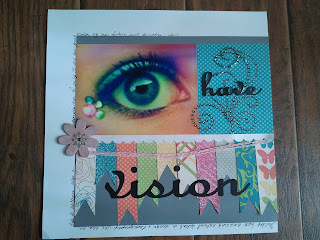 This LO is the Night Owl's January challenge...I am just now getting around to it...my bad! 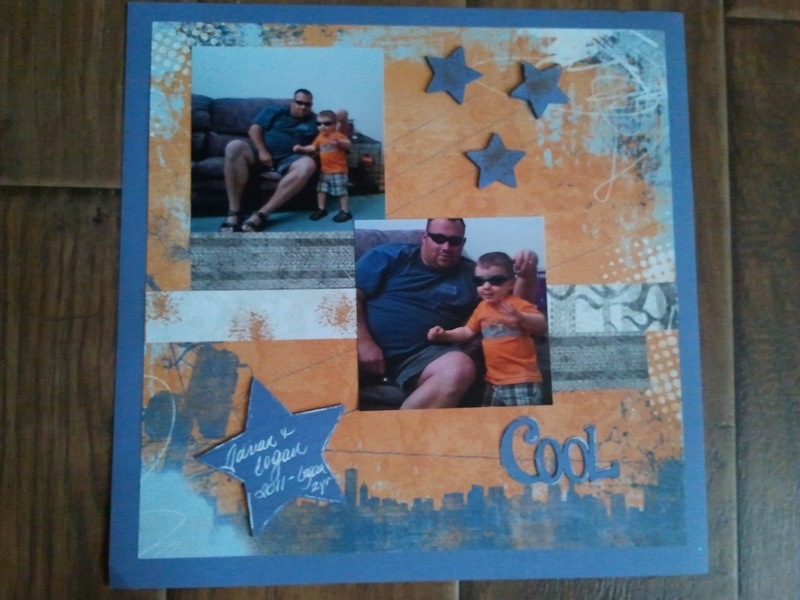 I used CTMH papers and embellies. 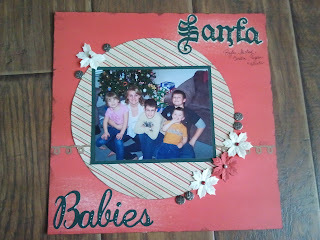 Distressed paper and Cricut Christmas and Quarter Note for the title. This LO is the Night Owls March sketch challenge. 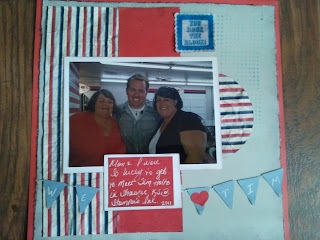 The photos is of mom and I meeting THE Tim Holtz! What an awesome guy! CTMH papers used...lots of distressing & crackle paint. This LO is of my brother and one of his fabulous boys! 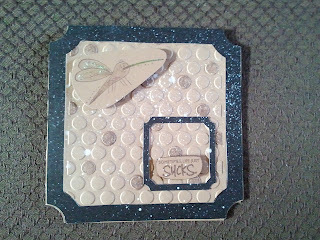 Mostly a simple design using Creative Memories paper that is pre-distressed. I added several stamped images to carry the design throughout. Stars are stacked for dimension. Lastly, a get well card using the Market Street stamp set that I won a few months ago. The background is done with an embossing folder that was randomly inked to bring out the texture. The whole card was spritzed with white ink. The wings on the critter are done with Prisma Glitter. I'll check in soon! TTFN! 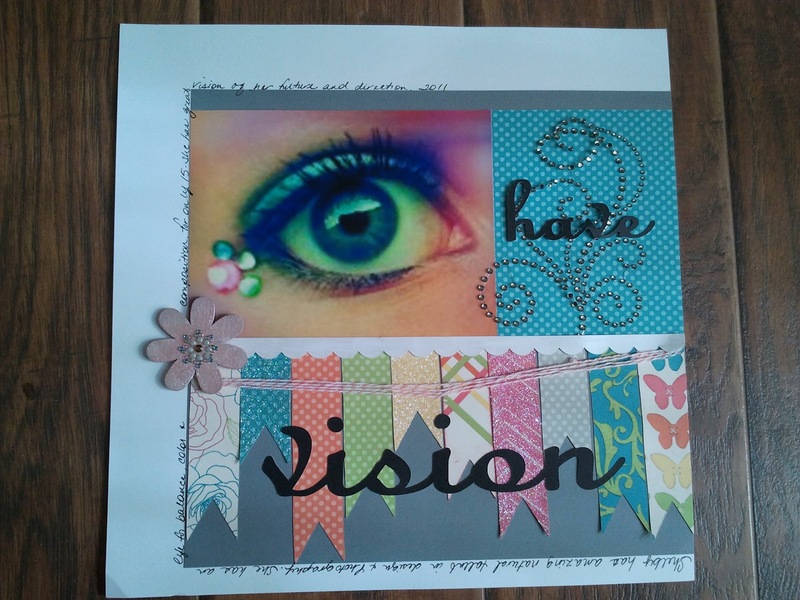 May is National Scrapbook Month. Close to My Heart helps you celebrate early! Hi all...my busy life continues but whenever I can I love to papercraft and I am in love with the special promotion beginning April 17th. Get ready to plan your order around this amazing paperpack, it is a wonderful value! When you place an order of $35 or more in products from the Spring/Summer 2012 Idea Book between April 17 and May 31, you may add the Dotty for You paper packet, valued at $19.95, for just $5. Dotty for You includes 24 specially designed, coordinating B&T Duos® sheets (2 each of 12 patterns) and an artwork idea insert to get your creative juices flowing. If you purchase this packet, each piece is just $.21! That is an amazing price, but that’s not all! There are two ways your customers can get this darling paper packet FREE! Hostesses will receive a free Dotty for You paper packet when their Gathering sales total $400 or more (excluding tax, shipping/handling, and Operation Smile donations). 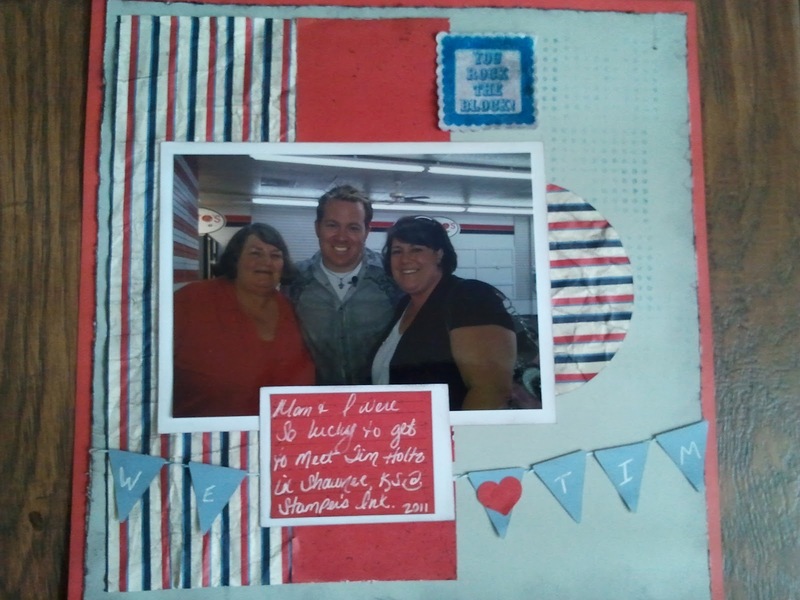 Be the first to book a gathering and I'll throw in a special gift too! New Consultants who sign up between April 1 and May 31 (two full months!) will receive a free Dotty for You paper packet with their kit. Please let me know if you've been considering becoming a consultant. 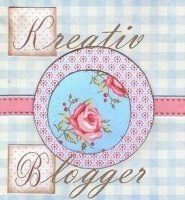 I'll go over the fabulous benefits you will get when you take your craft to this level. Spread the word and help us celebrate National Scrapbooking Month in May with this exclusive Dotty for You paper packet promotion. How to Complete a LO with 13 Photos and other CTMH News!!! I hope each of you had a wonderful Christmas and New Year!!! 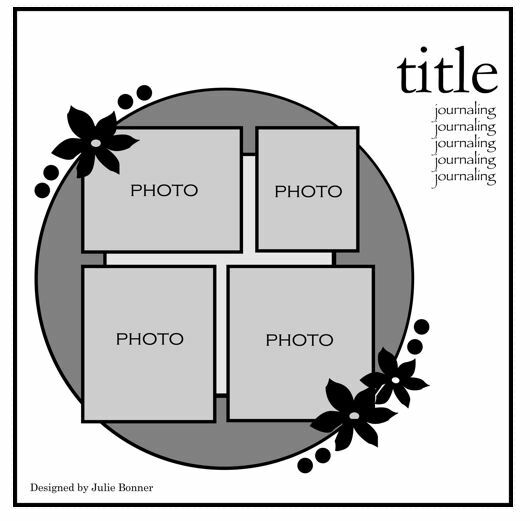 It is time to get busy on your holiday photos~or just get back to the art and fun of scrapbooking! I have an amazing LO map that incorporates up to 13 photos!!! 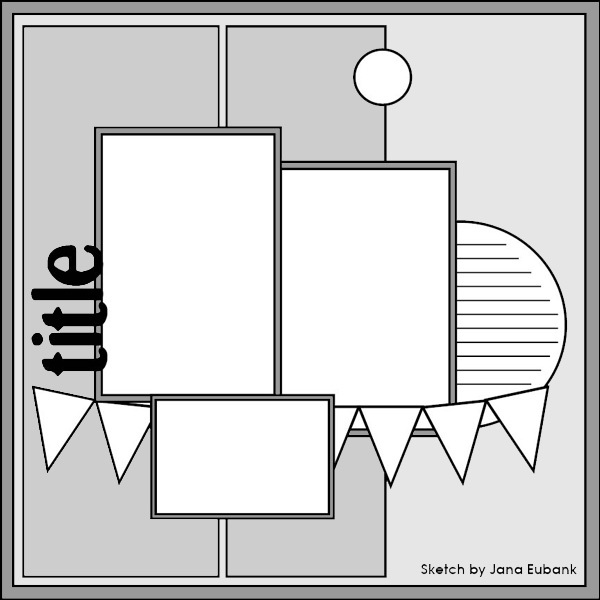 It is based off the Believe Workshop on the Go. 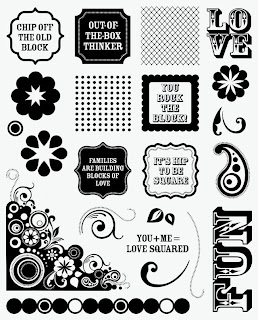 This wonderful kit is just $29.95 and includes a C size stamp set exclusive to this kit. This kit comes with the instructions to complete two, 2-sided layouts, one of which I have modified to fit 13 photos! I'd love to show you HOW, either at your own, personalized gathering or with the purchase of the kit. AND---Purchase of this kit will qualify you for a second promotion that is only available through the end of January. Photos of both the Believe Workshop and the Rock the Block! campaign are below and I'd be happy to send you the flyers for more detail and information on the fabulous products you'll receive. Please contact me if you'd like more information, order or hostess a gathering. AND remember, if you refer a new friend to me, you will receive a special gift!!! Two page LO with 11 pictures. Page map is CTMH from the Miracle book all papers and stamps are CTMH from the Believe Workshop Kit. Trees from Cricut Art Philosophy cartridge. Santa's beard and trim are done with Fun Flock and Liquid Applique. Please contact me if you'd like information on any of these products or help designing a LO to showcase your holiday photos. Left page~ This little booklet is how I got 11 pictures on a two page LO. Back side of booklet...I could have added two more pictures here. Merry Christmas bloggy followers...I hope you all had a wonderful holiday with family and friends! I love to add my family letter to my Christmas pages so we can easily go back and see the highlights for the year. This LO was inspired by Creative Memories, used Cricut George for circles, Serenade for the tree trunk, Christmas for the banner, Wild Card for the sentiment, Art Philosophy and Christmas Cheer for the gifts. Cuttlebug Divine Swirls on some of the leaves. White Daisy & Cirtrus Leaf CTMH inks, stars CTMH. Good morning ladies! I hope you are all having a season and are gearing up for a Merry Christmas. I encourage you to take a few minutes for yourself to work on or plan your projects to keep yourself motivated. To help with that, CTMH has a great promotion that is also a sneak peek into the new Idea Book that will be available in about 6 weeks! The promotion is an E sized stamp set...yes an E size that is an approximate 8x11" sheet of great stamps...there is more. This promotion also comes with a set of Collage Cubes. 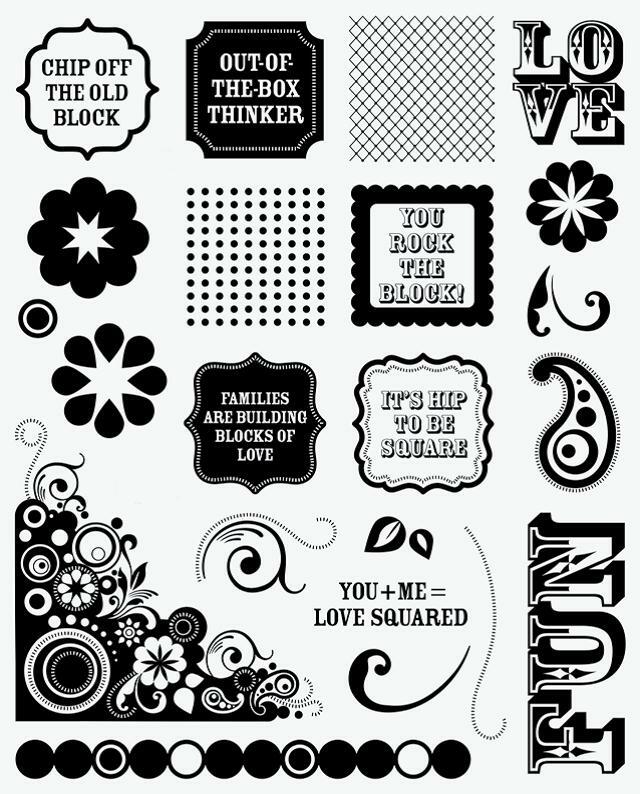 Collage Cubes is a new interactive set of blocks that you can decorate, stamp and create to make your own fun coversation piece. Rock the Block is only $15 with any purchase of $25 from the current Idea Book. It is available from December 19-January 31st. After January 31st the items will only be available at full retail. Please contact me for the flyer that shows the full detail of this wonderful stamp set. Again, I wish each of you a Merry Christmas and a wonderful New Year! I am so thankful to have wonderful friends and customers like you!